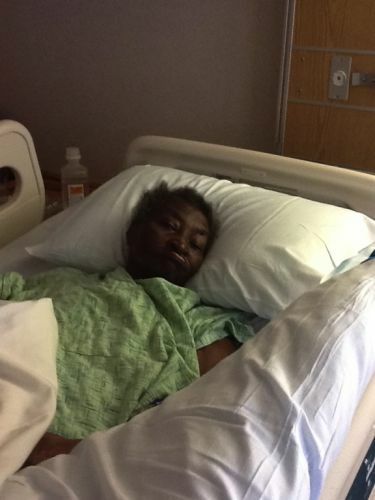 I wanted to share some thoughts about my grandmother, “Mama”. She was a very empowered woman. Married at 16 years old, having her only child (my mom), she knew she was destined for greatness. But, she was not selfish. She taught my sister and I to GIVE and to ask for abundance so that we might give. 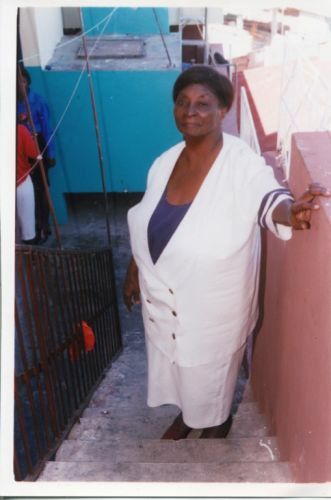 She was a strong community leader in Haiti. She LOVED so much. I always said that I wanted to be like her when I grow up. Madame Jo or Mama Jo, as many people called her didn’t put up with no mess! LOL Standing tall at 4’11”, people learned very quickly that she had a strong will. Yes, yes! But, she used that will to serve and to love and to impact lives. I know she would be proud of me. And my last words to her were that I would make her proud. That my jouney with Cushing’s Disease will not be in vein. That I will live a life that my children can be proud of as well. So, if I seem way overly enthusiastic or over the top; you can thank Mama for that. 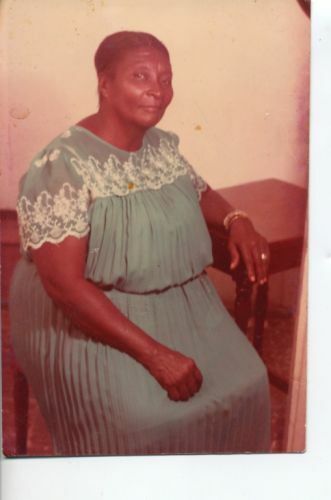 “Fanicia “Mama Jo” Pierre was born on September 6th, 1932 in Port-au-Prince, Haiti. Since childhood, she always strived for excellence, knowing that she was destined to make significant changes in life, in which she found great joy and happiness through her child, grandchildren, and great grandchildren. Mama Jo has impacted many lives through her lifetime; especially her loved ones whose lives have been forever changed. Motherhood began for Mama Jo when she gave birth to her only baby girl. She and her husband named her Marthe. 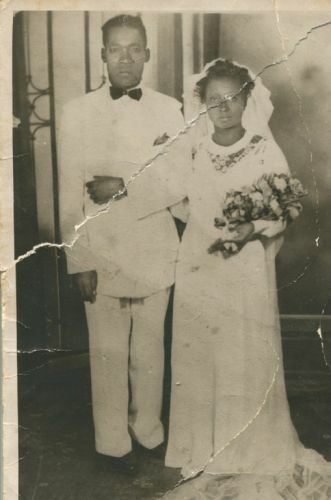 Mama Jo and her husband, Joseph Pierre, were married for over 50 years before his passing. From the time Marthe was born, Mama Jo made it a top priority to give her the best life possible. And, the meaning of true sacrifice was demonstrated through her continual acts of love in raising her precious daughter. 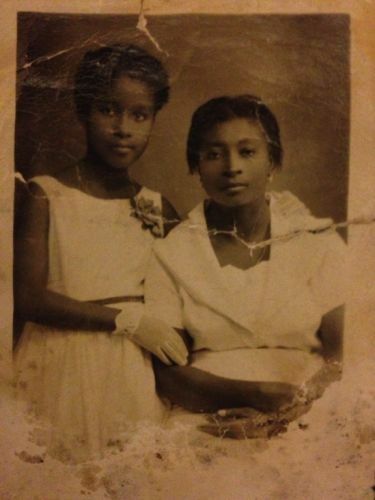 Mama Jo made sure, through hardship, that Marthe had the best of everything. She would take the clothes off her back to provide for her daughter. Working extremely hard, she made sure that her daughter went to the best schools, had the best private education, and never knew lack or loss. In addition, she served as a mentor and maternal figure to many children in her community. Many of the young children looked up to her and knew that she was a reliable and dependable person to count on. Mama Jo also maintained and taught great values to her daughter and the community. Marthe was raised in a Christian household with high morals and the continual goal to be an exam-ple to all. It is through continued sacrifice of her mother that Marthe was able to eventually come to the United Sates in 1972. 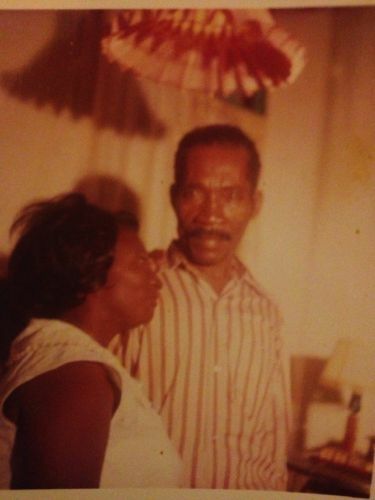 Less than two years after immigrating to the US, Mama Jo gained a son in law, in the person of Henry Ternier, whom she accepted as her very own son. Out of that union, came two daughters, Karen and Sabine, and a son Accel. 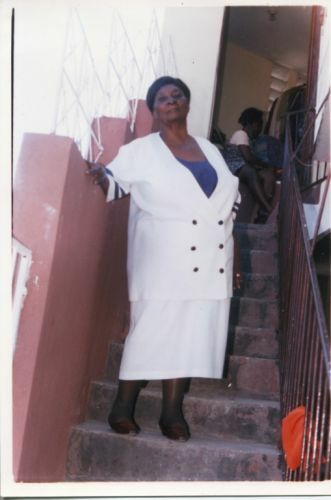 She continued her devotion to mother-hood by loving and caring for her grandchildren deeply. She has served as a role model and exam-ple to them as well. 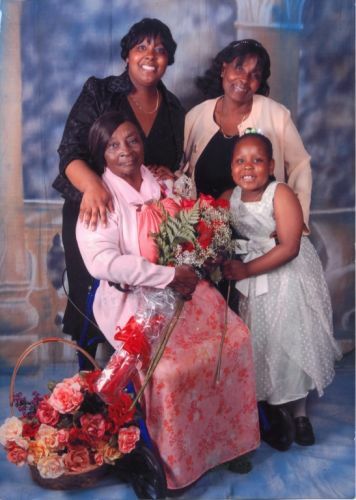 Mama Jo’s grandchildren have been able to witness excellence through the life of their grand-mother. She became upwardly mobile and built a house in Port-au-Prince, Haiti. She became an entrepreneur and opened up her own boutique and storefront in the 1980s. She used her success to continue to help her family and others. As a community leader, she engaged in charitable works, giving to members of her community and serving as a mentor to all. These works were a reflection of continued sacrifice. 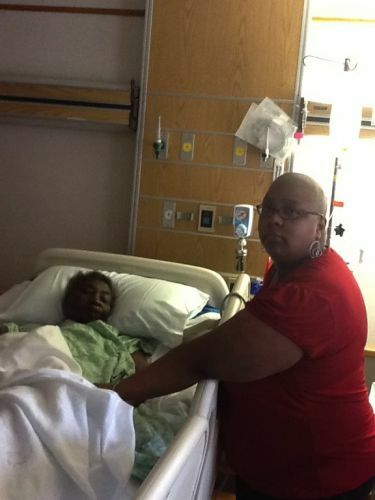 She has donated uncountable amounts of money, resources, time, and emotional support to many. Understanding the grace of God, she built a sanctuary in her Lord and Savior’s honor in a section of her home. This sanctuary was dedicated in 1990 and became a place of refuge, worship, and safety for many. This example of love and sacrifice motivated the lives of her child and grandchildren. 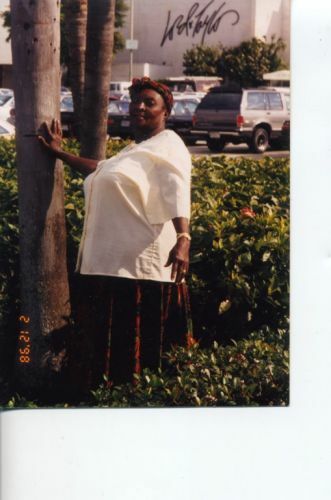 On October 30, 2012, Mama Jo left this life to rest in the arms of her Heavenly Father. She cherished all of her children: Marthe (Henry), grandchildren: Karen (Craig), Accel (Mimose), Sabine (Charles), and great grandchildren: Courtney, Madison, Leslie, Leah, Henry, and David, as well as a host of adoring family and friends who are left behind to celebrate her legacy of love, sacrifice, and honor, which will live on forever and serve as an example throughout many years. Mama Jo physically gave birth to just one child. But, she has many children. Her children are all of those who have been graced by her life and who benefited from her generosity.